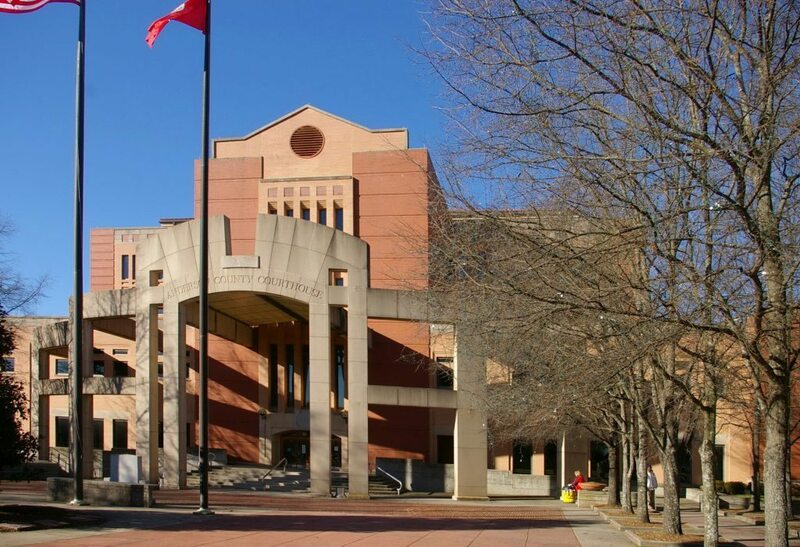 This contemporary, four-story courthouse faces east onto Courthouse Square and is comprised of glass, concrete, red brick, and pink-colored brick made of clay native to South Carolina. 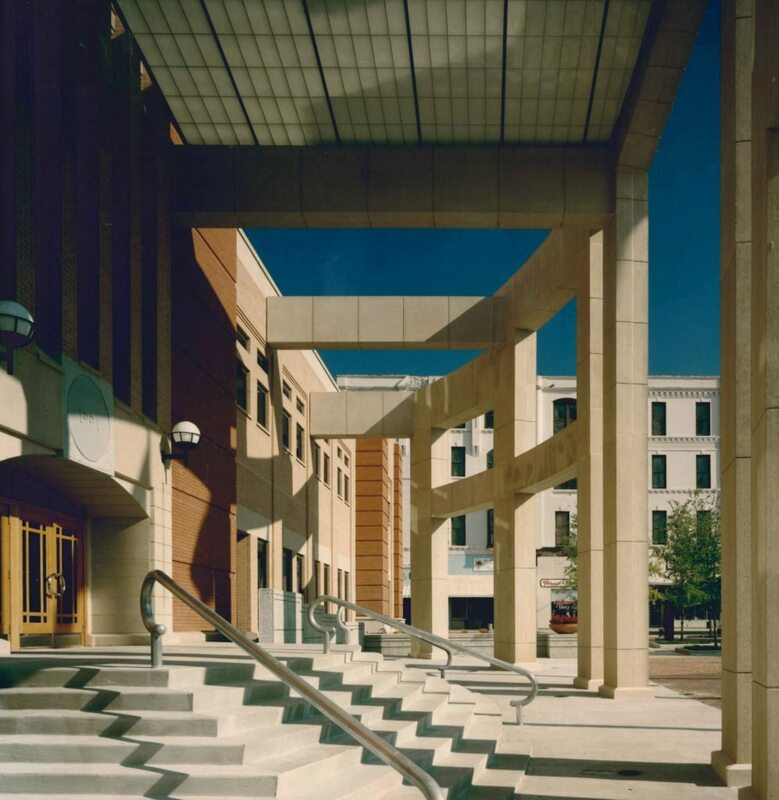 The structure is tiered, with its highest point located directly above the building’s primary entrance which projects towards the square and features a large concrete portico. 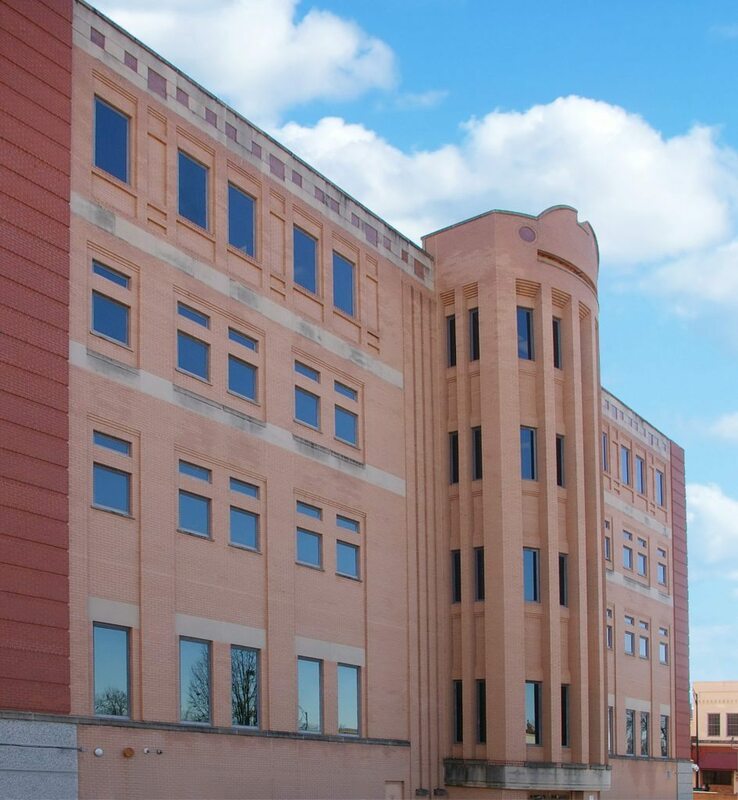 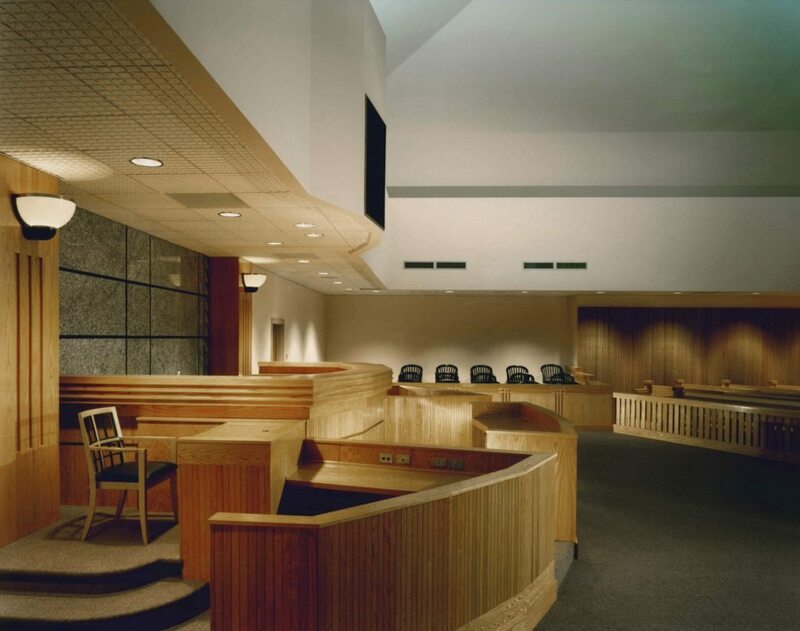 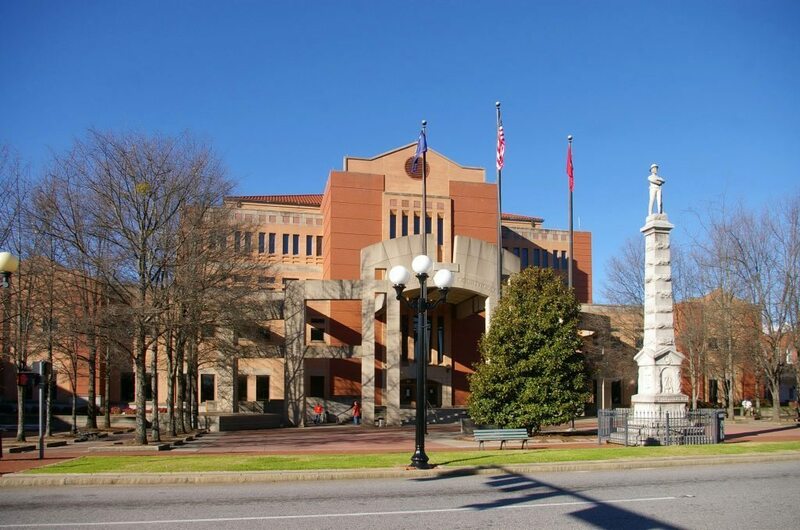 The 96,000-square-foot courthouse building houses seven courtrooms including two circuit courtrooms, four family courtrooms, and one large, primary courtroom which is scaled to seat up to two hundred people and is designed to accommodate both grand and petit juries. 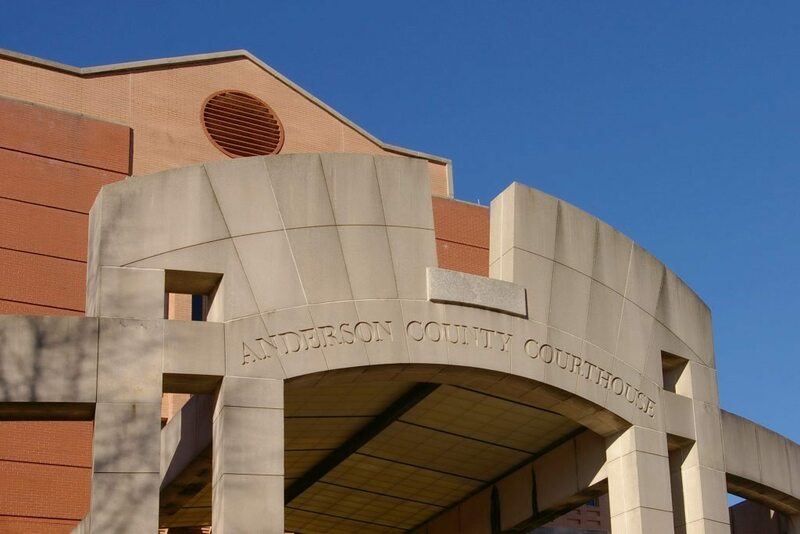 Other spaces include offices for the treasurer, auditor, and assessor, as well as a public lobby, welcome center, court records, and other storage and workroom spaces.